HTOP Royal Star Hotel, positioned a 10-minute walk from Fenals Beach and a 15-minute walk from the town centre. 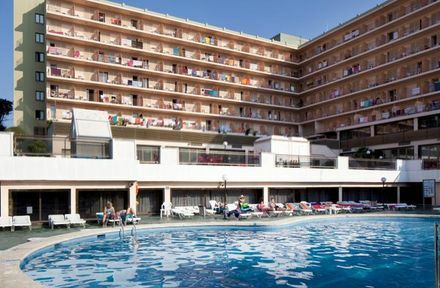 Lloret de mar is a lovely area near the beach and waterpark. The hotel was not to my liking very rowdy and lots of young guests, nearly every night of the holiday I could not sleep due to the noise. One evening a glass and a ashtray was thrown off a balcony and nearly hit someone on the head. There was very little food choice, same options every day, they give you a card for your all inclusive drinks and only allowed to order one drink at a time. The only decent thing about this hotel was the service by the maids, they changed towels and bedding everyday and very polite. Would not reccomend this hotel but area is nice.